You need to click in this box and click on update or publish post button.Thats all,now the page title will be removed from page or post you have selected. Now this plugin will hide title on singular page views. But it will still show title on your homepage or other pages, but not on the single page views.This solution can be pretty good if you are creating a simple landing page and you don’t want to show the title. There may be some reason why someone like to hide page title, lets look at how to hide the titles for all WordPress post and pages. Comment out the function the_title() by adding “//” before the function in this pages. page.php (1 occurrences).This will remove the page title from all user created pages. content.php (2 occurrences). This will remove from index Page, Custom Page,archive Page,search Page,tag page and all posts. Add this code at the end of the line. If you do lots of edits in style.css it can be a mesh in the file and there may be problem when you update worpress theme.You can use companion plugin to manage your css.If you are using jetpack you can get an Edit CSS submenu in Appeareance Menu at WordPress Dashboard. Twenty Thirteen theme is responsive theme and some excellent features.My blog is receiving lot queries in customization for Twenty thirteen theme.So I am writing this tips to disable search box icon from the menu bar header. If you need to remove the search box from Twenty Thirteen theme, you need to edit header.php file. Go to Dashboard >> Appearance >> Editor select header.php file from right side and comment following piece of code by adding “//” infront of the function get_search_form(); . Save the changes by clicking update file. Now Search box is removed from Twenty Thirteen theme. 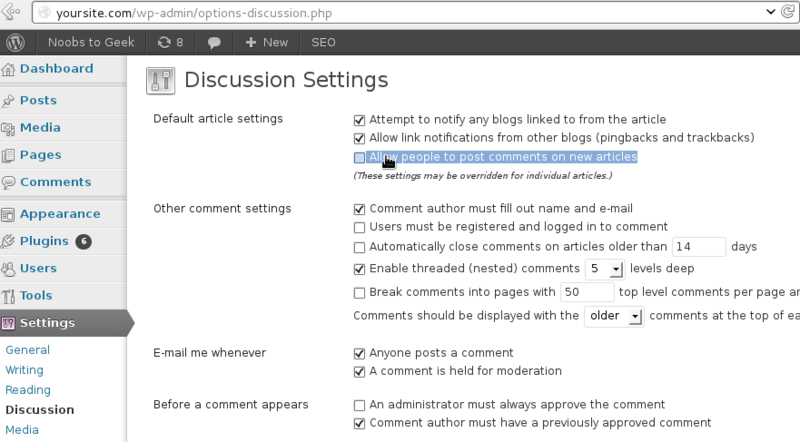 By Default wordpress Twenty Thirteen theme has a Leave a reply box at the end of blog to make readers comment on a blog. If you don’t want reader to post comments to your site or if you prefer wordpress to use it as a CMS, rather than a blog,then you can Disable WordPress Comments .It can be completed removed or can be removed in individual post or page. This settings removes leave a reply to new posts that you will publish in future.This does not remove comment from Post that are already Published. You can disable pingbacks and trackbacks if you don’t require. This will remove comments from the post that is already published. This works well for twenty thirteen theme but for some of the themes “comments are closed” text from a WordPress site. You can remove this using the first method in this blog. Search results already show excerpts (summary of the posts). If you want to show excerpts in tag pages, author pages,homepage and category pages. 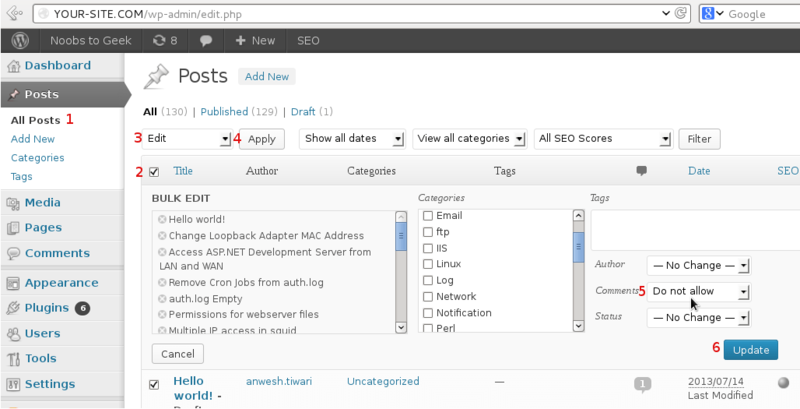 to show complete post only on individual post pages.You can change the content.php of wordpress twenty thirteen theme. You can remove the particular page in code if you don’t need them there. This code will make WordPress Twenty Thirteen Show Excerpt.